The Deco Dining Chair from Moe's Home Collection delivers the perfect mix of style and function. This dining chair boasts a fabric seat for outstanding quality, along with solid American walnut veneer and plywood construction that guarantees the piece can serve you well for years to come. 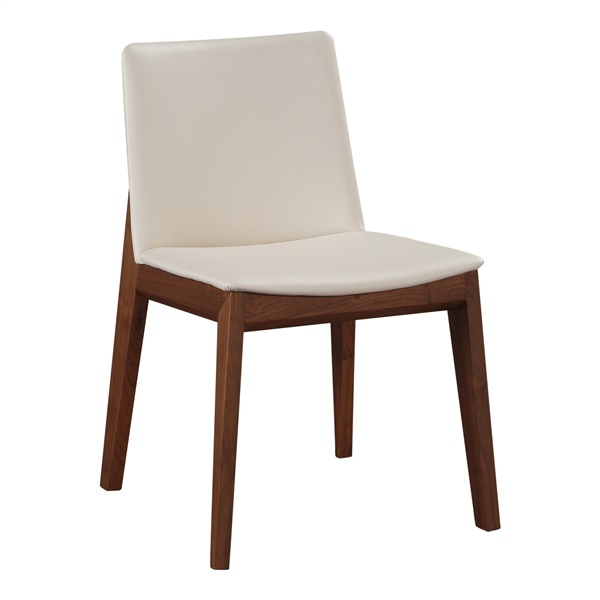 Also, the dining chair offers a timeless design and will complement the d�cor in a casual or formal setting. Reap the benefits of a top-of-the-line dining chair thanks to the Deco Dining Chair. PVC or fabric seat is both stylish and comfortable. Consists of solid American walnut veneer and plywood for long-lasting quality. Serves as a great addition in a casual or formal dining room. Timeless design ensures the chair will complement any setting's d�cor.